Several strains of Zygomycetes cultivated on glycerol produced mycelia rich in lipids containing higher amounts of neutral lipids (NL) than glycolipids plus sphingolipids and phospholipids (P), while biosynthesis of P in Mortierella ramanniana, Mucor sp., and Cunninghamella echinulata occurred though NL accumulation process was in progress. Polyunsaturated fatty acids (PUFA) concentration gradually decreased in all lipid fractions of M. ramanniana during growth. 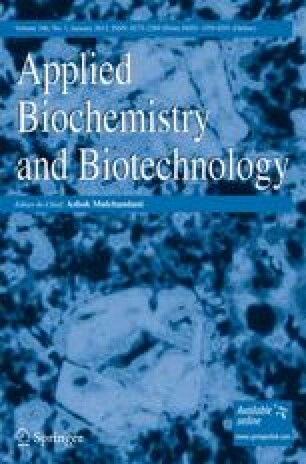 In contrast, in C. echinulata concentration of both linoleic and γ-linolenic acids increased with time, especially in P. Taking for granted that the main function of PUFA is associated to their participation in mycelial membranes, we could suppose that biosynthesis of these fatty acids is associated to mycelial growth. However, this is accurate only for some Zygomycetes, e.g., M. ramanniana. On the contrary, PUFA biosynthesis in C. echinulata persists after growth cessation, suggesting that in this species biosynthetic ability is not a strictly growth-associated process. Phosphatidyl-inositol and phosphatidyl-choline were the major P classes in C. echinulata and M. ramanniana, respectively. In M. ramanniana, a decrease of PUFA concentration was noticed even when mycelia were incubated in low temperature (conditions that normally favor PUFA biosynthesis), indicating that PUFA biosynthesis in this fungus is associated to primary metabolism. The online version of this article (doi: 10.1007/s12010-011-9411-z) contains supplementary material, which is available to authorized users. Financial support was provided by the project “Synergasia” entitled “BIOREF—Development of a biorefinery for the valorization of residues produced during biodiesel manufacture towards the production of biodegradable polymers and other high added value products” funded by the Greek Secretariat of Research and Technology and the society PETTAS S.A.